“Vamos! This hill is nada!” shouted Speedy as he strode off into the distance. His tree-trunk calves were motoring up the side of a cliff as we trudged behind him, pausing for breath and photographs. Speedy, self-named, estimated to have climbed Machu Picchu two thousand times and classed heavy breathing as a sign of weakness. As far as daily commutes go, his must be one of the most extreme. 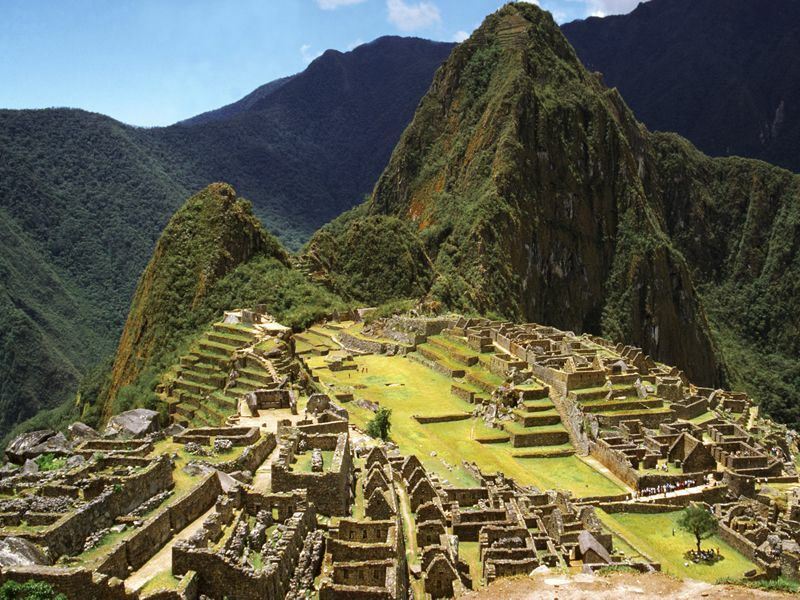 The official Inca Trail requires advanced reservations and special permits. We booked our trek, for the following day, from one of the many backstreet tour operators in Cusco, which is where we found an amiable Speedy promising us an exhilarating, alternative route to the top of Machu Picchu. In a moment of masculinity, the eight of us outlawed the scenic train to Aguas Calientes and banned taking the bus from Aguas to the summit, resolving to walk the entire distance. Speedy smiled upon hearing this. We decided to conquer this ancient wonder of the world on account of the mix of mystery and history that underpins it. By the 15th century, the Inca’s had exploited their mastery of agriculture, architecture and diplomacy to create an explosive Andean Empire stretching from Quito, in today’s Ecuador, to Chile’s Santiago. But word soon spread to Spain of an empire whose people worshipped the sun and moon, and decorated their temples with gold and silver to honour these chosen deities. This inspired the conquistadores, a gang of desperadoes, gold-seekers, bandits and warriors, to invade in search of El Dorado; The Lost City of Gold. Although they conquered the Inca’s, they never discovered Machu Picchu, perhaps due to its removed location, and it remained untouched, a fascinating window into a lost culture; an enigma above the clouds. By the second day of climbing, some of our group were beginning to wish we were back at Peru’s other main tourist attraction. The childishly named Lake Titicaca is the largest lake in South America and the highest in the world. Lazing by its banks gazing at fisherman slowly catching a living is a different kind of enjoyment to trekking through a tangle of trees, wild flowers and hummingbirds. As we walked, we passed the odd homemade house, with a long bamboo stick flying a knotted red handkerchief above the door. This is local sign language signalling that you’re welcome to join the inhabitants inside for a drink of chicha, a high-octane alcoholic drink made from ground corn. “Poison for walking.” Speedy shook his head venomously as he spoke. The grueling walk was made easier by the flickers of life encountered along the way. Peruvian women wearing sandals made from recycled truck tyres and multi petticoated skirts from which they add and subtract layers to acclimatise to the violently changing temperatures of day and night. Above, small airplanes made unregistered flights to and from neighbouring Columbia full of we know what. The sunset views of crumbling cathedrals, tumbledown towns and indigenous temples allow anyone to moonlight as a professional photographer. The only thing we didn’t see was a group of busking panpipers selling CD’s of their hauntingly beautiful melodies. After three tough days, we arrived at the Sun Gate entry point and saw the sacred city sitting gloriously below. We were greeted by groups of smug llamas who stared at us as if to say “Oh you made it? Took your time..” We admired the awesome panorama, traded thoughts on what used to happen here and discussed our next movements. Surfing in Cabo Blanco, museums in Lima or the rainforest in Rio Amazonas? The Inca Trail is a must do, but make sure to delve deeper than Machu Picchu, or you’ll miss the best bits of Peru, just like the Spanish did.